If you do not know which location you want click here. 4×4 Vehicle Hire are a leading UK 4×4 rental company, offering a nationwide UK 4×4 hire service. Our fleet offers you a choice of 4 wheel drive cars suitable for every need although we specialise in Land Rover and Range Rover hire including Discovery 4, Freelander 2 plus Range Rover Vogue, Sport and the new Evoque. Click on the vehicle icons above to find out more about hiring a 4x4. Our range of 4×4 rental cars means that we can provide a vehicle for every 4WD requirement from practical SUV rental cars to get you through the snow to high end luxury city cars like the Evoque. Through our network of local franchises we can deliver your 4×4 hire car anywhere in mainland UK. We are also able to arrange delivery and collection for UK airports 4×4 hire. Gatwick, Heathrow, Stansted & Luton, Newcastle, Liverpool, Edinburgh, Belfast and Manchester airports are all within easy reach of our 4×4 hire locations. At 4×4 Vehicle Hire we are very proud of our customer service.  We’ve recently been voted the best car hire company in the UK by our customers on the FreeIndex - The UK's favourite 4x4 hire company. Our 4×4 Hire has been rated 4.6 stars by 53 genuine customers so you can be assured that we provide a quality 4×4 hire service. 4.67 out of 5 based on 9 ratings. 9 user reviews. Amazing we loved the car and service. This is the second time we used 4x4 vehicle hire and the service was outstanding. Even with the last minute changes that we made. Will certainly be using again. All hire companies should be like this; easy to hire, no fuss and very relaxed. No pressure to be extra cover…. Or anything for that matter. I will certainly use them again as and when the need arises. Booking was a breeze, and Tracey was extremely helpful. Car delivery and collection went very smoothly. Will definitely recommend 4x4 to anyone who needs a rented car. We needed a large volume vehicle to move my daughter to University and a treat to drive something up market. We were sooo impressed, the Discovery was immaculate and purred. This might sound like a bit contrived but I was seriously impressed with the whole package.